When we say all vehicle types, we really mean it. Jeep and Nissan owners have received full service and repairs to industry leading standards wherever the work needed to be done, when they needed us to be there. Happy clients in Mornington Peninsula who have already experienced the ease and convenience of on site vehicle repair and service work have given us over 38 positive reviews. These are just some of the reasons why we have maintained our excellent service history and kept our customers. 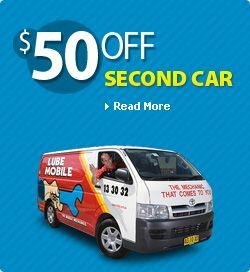 Receive a high quality service on your vehicle at the time and place that suits you with on of the 38 Lubemobile mechanics in Mornington Peninsula. Dylan went above and beyond to get us back on the road safely at a difficult time for service and getting parts. We are very grateful. Lovely young man. A credit to your company. Will definitely recommend him to my friends family and clients. . The convenience of a mobile mechanic ensures that you are not out of pocket on time and money trying to arrange alternative arrangements when your car needs attending to. We arrive equipped at your preferred location, and that can be anywhere you like. Easier to have us service your Holden at home? Or would you prefer your service on Toyota to happen at work during the day? What is the easiest way to ensure that we attend your Ford in the most convenient way possible? Recently in your area we have attended to Ford, Kia and Daihatsu. Repairs and servicing took place all on site and the mechanic had what they needed right there and then like timing belt, automatic transmission and manual gearbox ready to go. Let us come to you. The easiest and most convenient way to ensure that you keep your service history up to date and on top of your car repairs is to have everything you need done at home, the office or wherever else you happen to be. 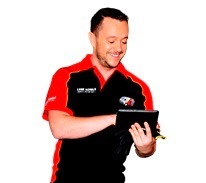 Our mobile mechanics are attending Chadstone, Rosebud, Skye and Glen Waverley. We are everywhere and everywhen you need us to be. Lubemobile is Australia’s #1 fleet of mechanics servicing and repairing vehicles all over the country with over 1,882 vehicles attended to in your local area alone over the last 3 months. Regular vehicle services and jobs around your area have included Log book servicing. Our specialists have what they need to complete a full service and repair at your chosen destination including tyre replacement and specialty tyre related repairs, tightening up sloppy steering and blown head gasket replacement.